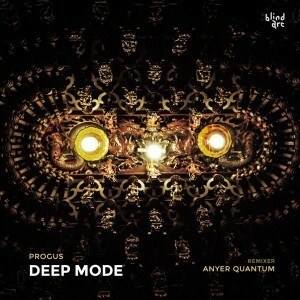 Progus is Yosef Amirov, a Russian producer established in Israel and dedicated to the psychedelic techno scene and genre. He has been a strong member of the Horns & Hoofs family for a long time, and now presents his new approach to techno on Portuguese imprint Blind Arc. Deep Mode showcases two tracks: a voyage between groove, powerful and gritty beats, and psychedelia, including a stellar remix by Anyer Quantum. Mastered by Flembaz at Tripalle Studios with artwork by Fred Sarmento and original photography by A. Synaptic. MP3 Download | FLAC Download | WAV Download · Download count: 12,527.